As we've said elsewhere in this site, we are huge fans of USA made promo items, and always try to offer stuff that's made here FIRST. These American made 12 oz promotional stadium cups are a perfect example of our fine country getting back in the manufacturing game and doing incredibly well. 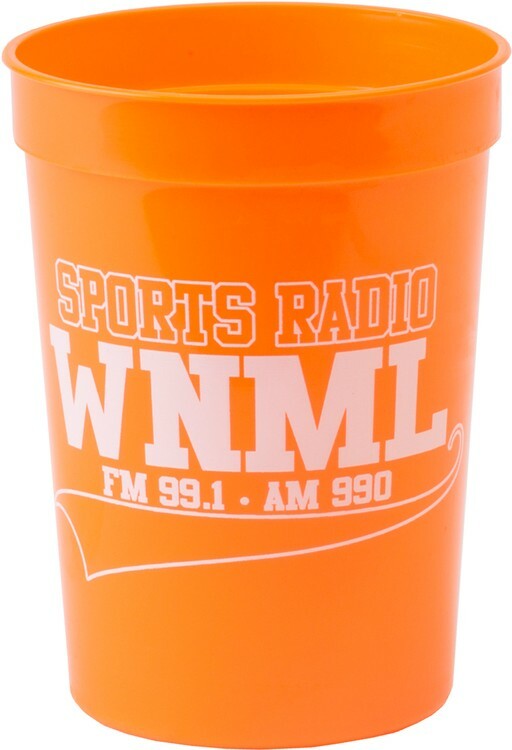 Not only are these among the highest quality stadium cups, but the imprint quality looks great and they are made with FDA grade materials so you can actually feel good about drinking from these 12 oz promotional stadium cups. We sell promo stadium cups in many different sizes, but the 12 oz is the most popular because it's perfect for most cans of soda. They are BPA free and top rack dishwasher safe.